Cloud computing will mean that there is nothing on our computers. It is reasonable to ask why we even want this to be the case, but the fact remains our world has already been operating this way for some time. Facebook is actually an excellent example, of how we are using cloud computing without even realising. 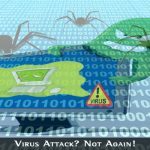 Without an internet connection, you cannot be using Facebook, and there is nothing of your account stored on your own computer. Your online banking is actually the same. Whether we like it or not, our world is going cloud. The new Windows 8 operating system is taking a very interesting approach, Apple has launched iCloud and the Chromebook was released by Google. Here is a look at these 3 very different approaches. The Chromebook was launched out of nowhere by Google. Everyone has been waiting for a newer version of the internet browser, Chrome, and what we got was a new version which is actually called an operating system. The Chromebook is essentially a personal computer that only has a browser, because the whole operating system is more like a browser, and we have to be using an internet connection to be using the machine. Nothing is stored on the computer itself. Everything is stored online on your account, although there is a limited amount of space, similar to the size of a USB stick, we can save files on in the case where we lose our internet connection. As it stands, the Chromebook is not really providing the experience of a personal computer, for example, the media player is not performing like iTunes or Windows Media Player. iCloud is Apple’s new online service. It is a service and online location to store your files, pictures, music and other content. The idea is that you can access your own content at any time on any device. This means you don’t have to send a file to your smartphone that you updated on your laptop. It is more than just an online disk, the files you work on are actually updated, and therefore, you have the latest versions on your iCloud. iCloud is more like an iDisk on steroids, and provides limited cloud computing at this stage. It is a reasonable way to store and manage your content, and as that statement says, it is more like a content management strategy versus a real cloud computing experience. You can still use your Apple laptop like you always have. 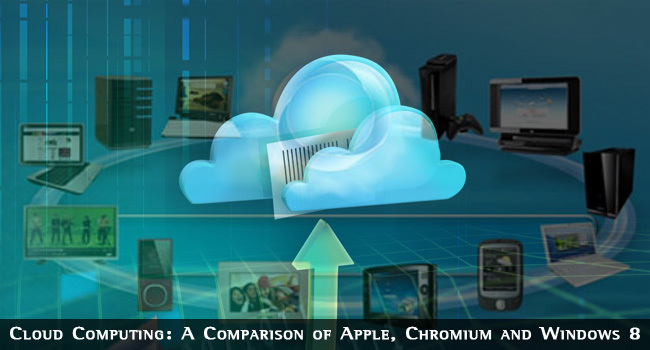 In summary, Chromium is a browser, iCloud is an online service, and Windows 8 is a powerful and sophisticated approach to cloud computing without compromising non-cloud user. I was kinda curious about Chromebook since its launch. But once I got to know it is more like just a browser, my interest dwindled. However, this seems to be the future trend where every piece of information will be on the cloud and your laptop/mobile/tablet will just be an instrument to access data from the cloud. Now the tech trend is cloud computing, every businesses wants to solve their problems through cloud market. The SaaS stands alone it is one of the best example to make their cloud services effectively. SaaS has many advantages over the traditional software delivery model.